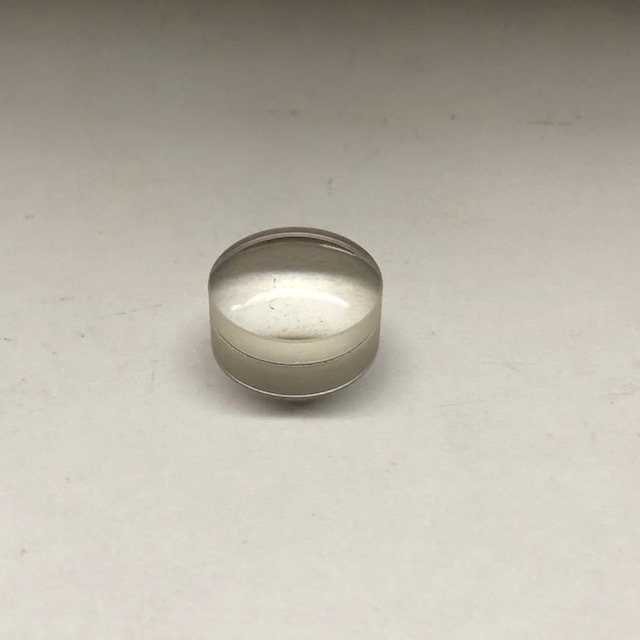 Cemented doublet achromat with a diameter of 17.5mm and a focal length of 25mm. Center thickness is 10.6mm and edge thickness is 8.5mm Anti reflection coated. Unused.